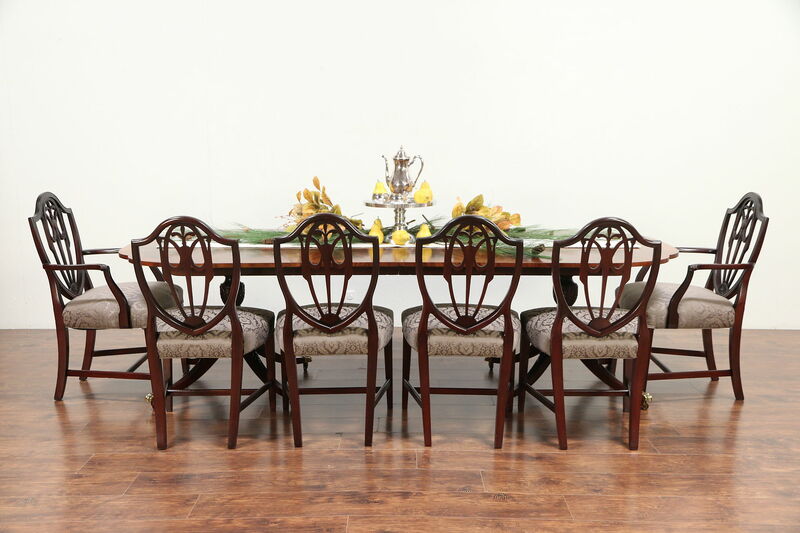 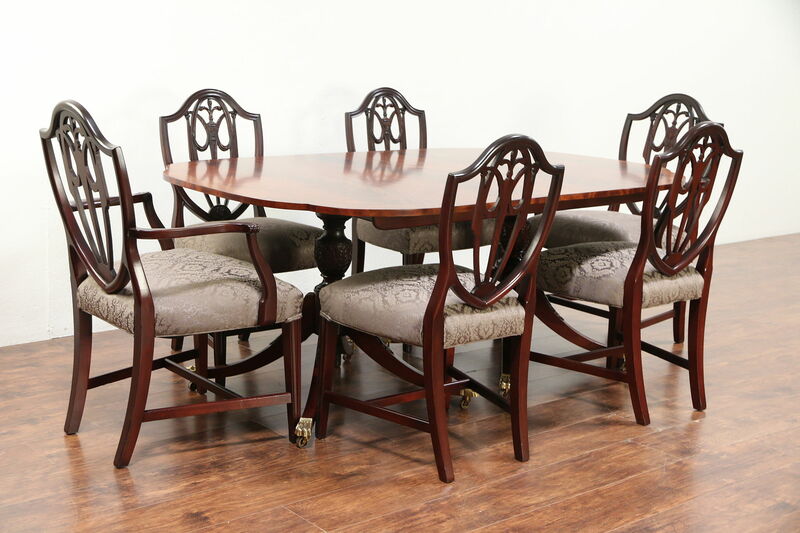 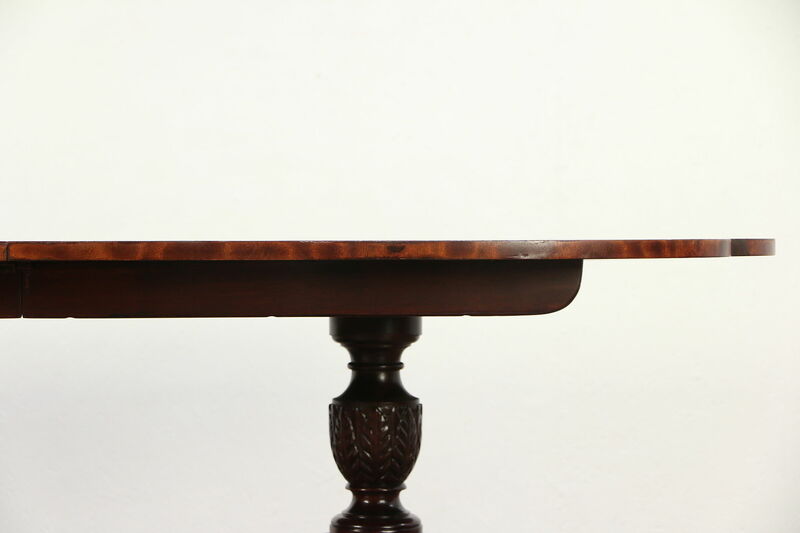 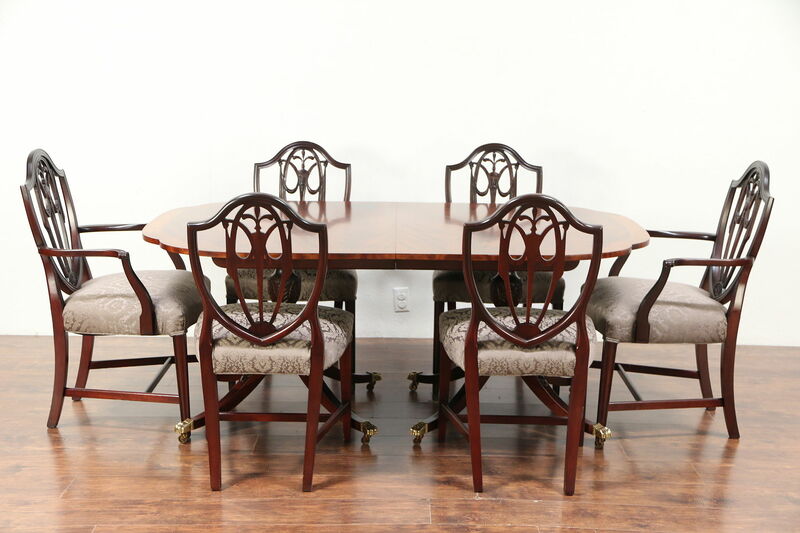 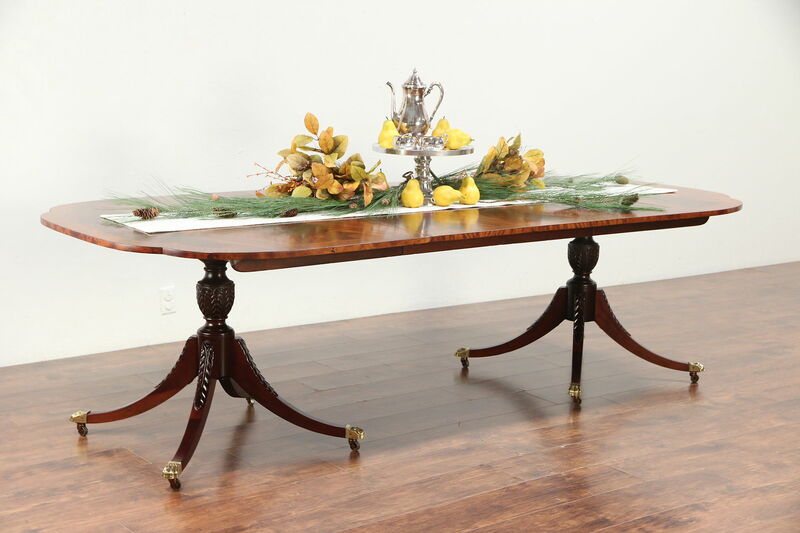 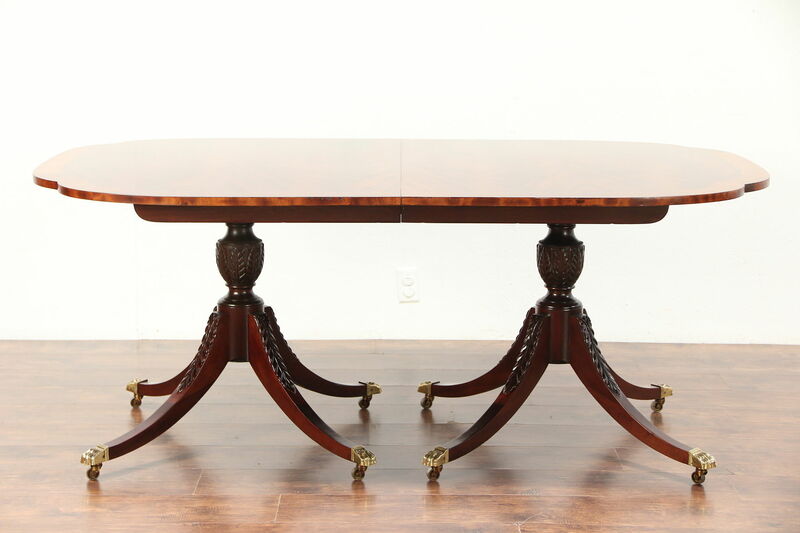 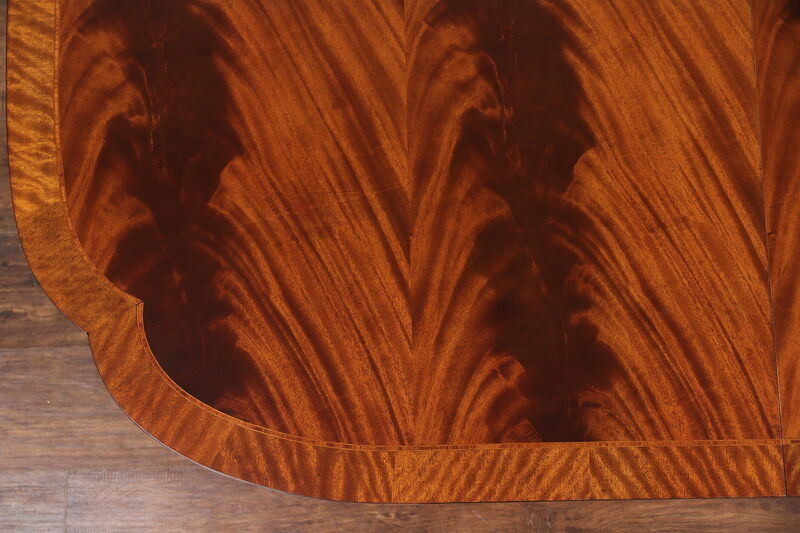 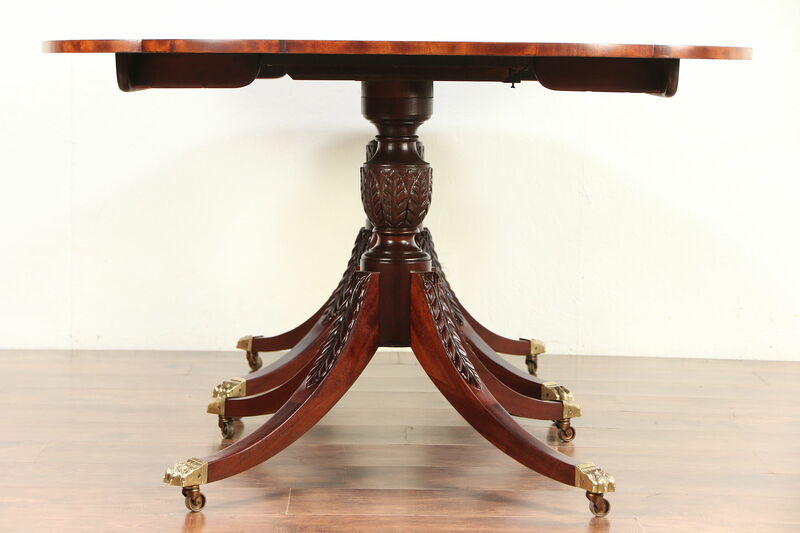 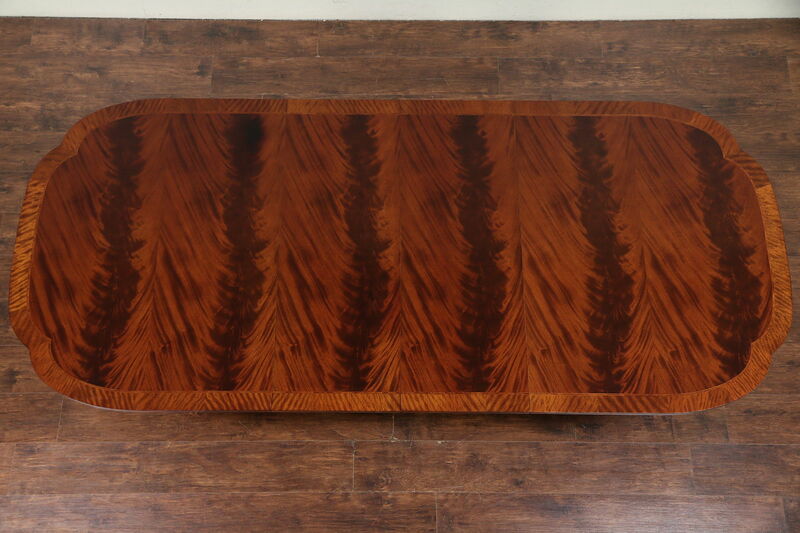 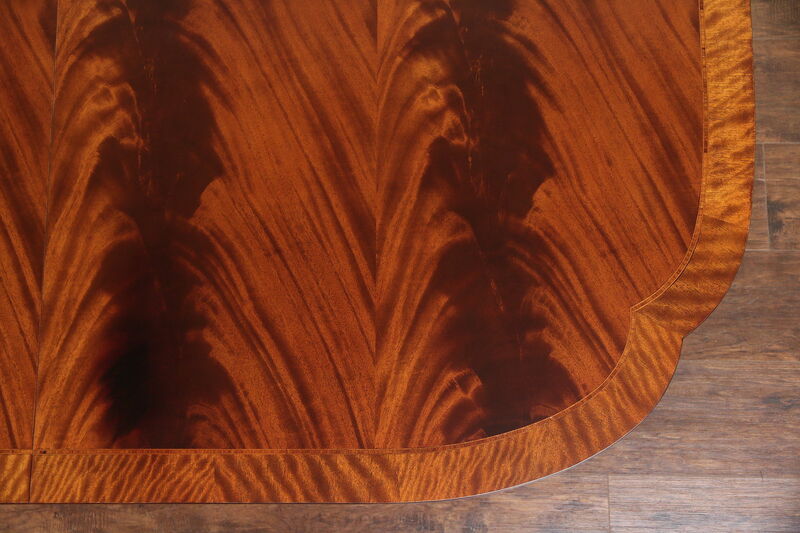 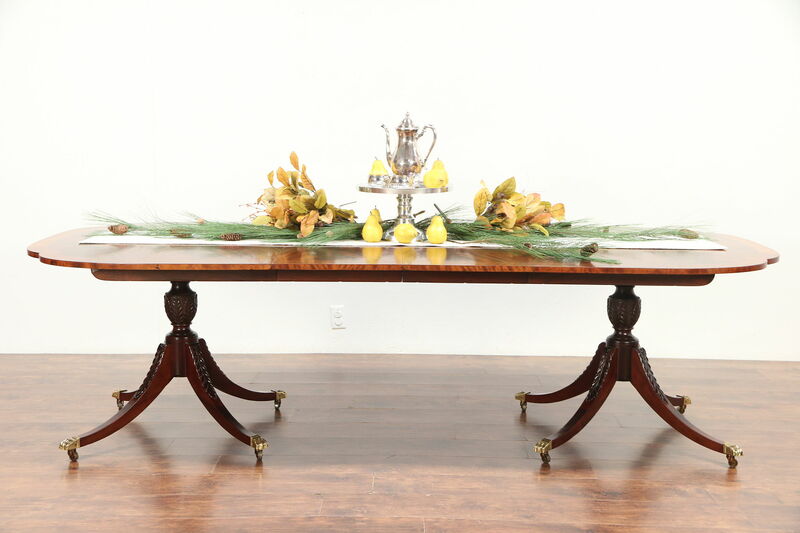 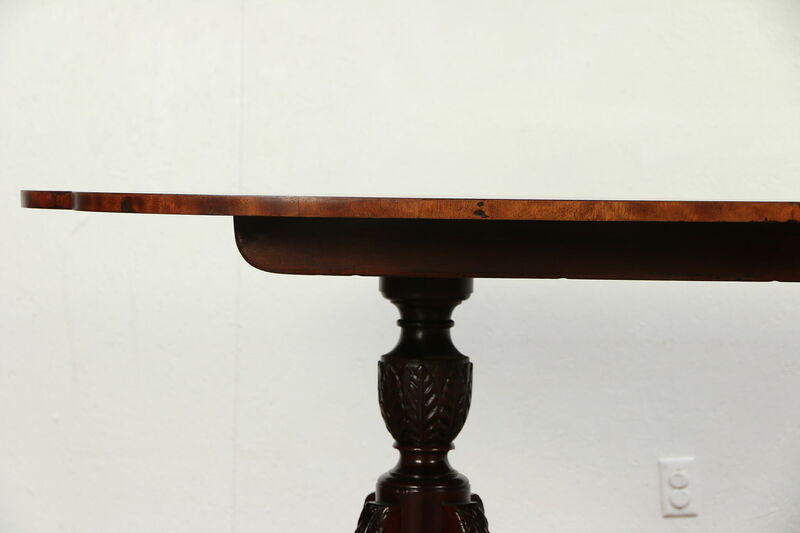 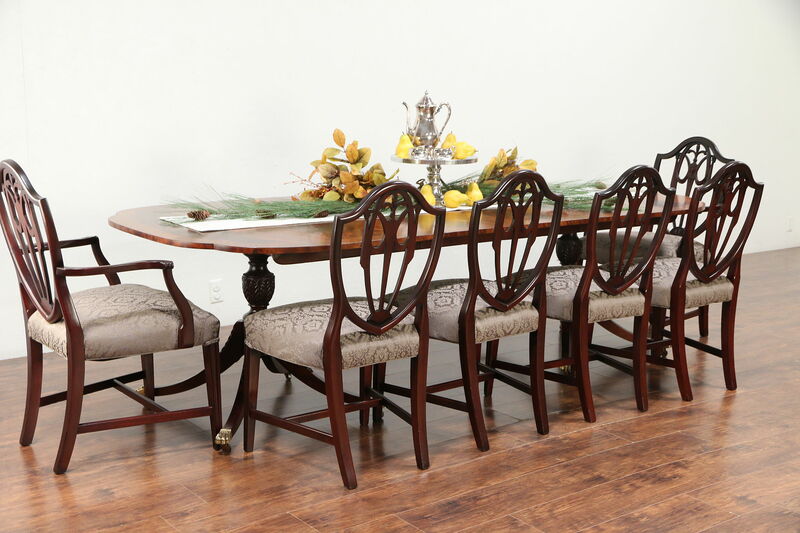 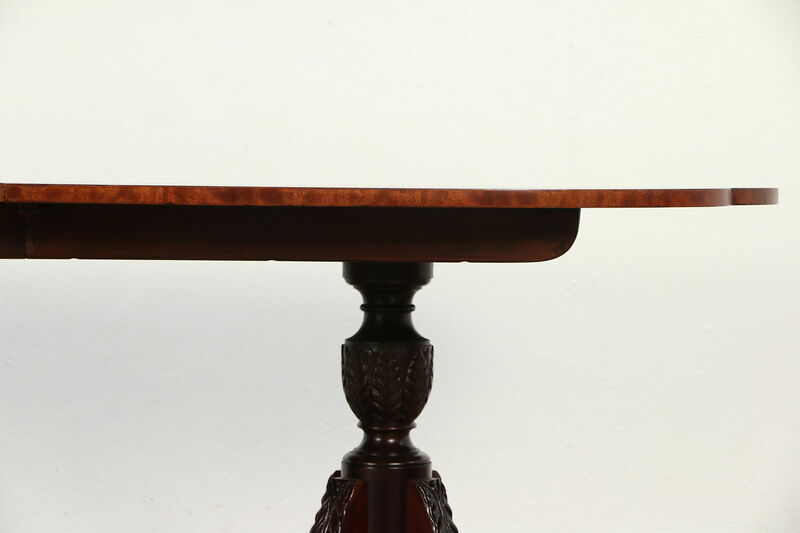 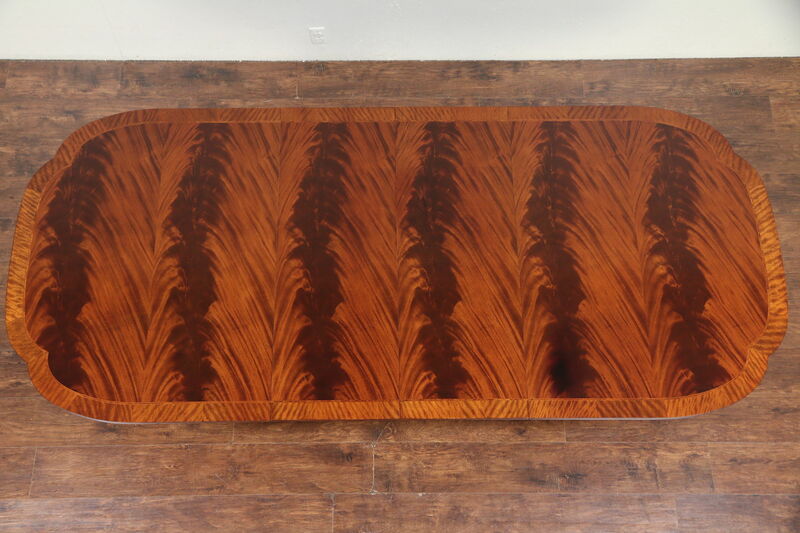 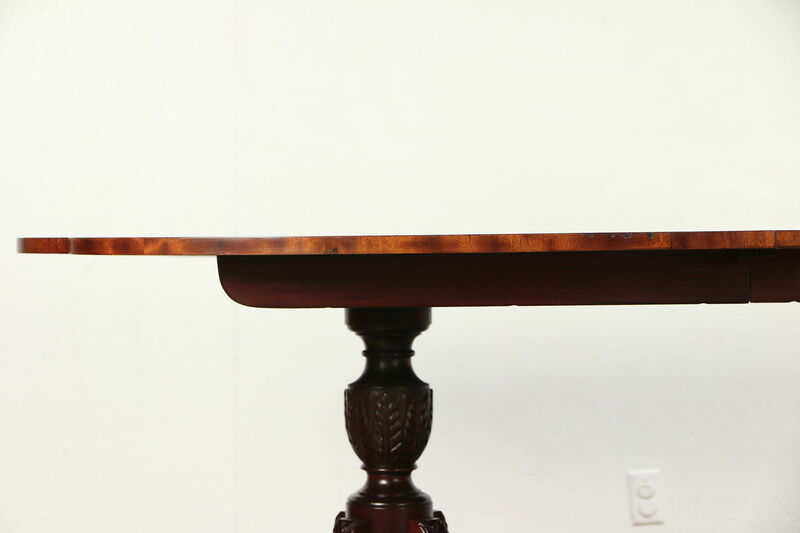 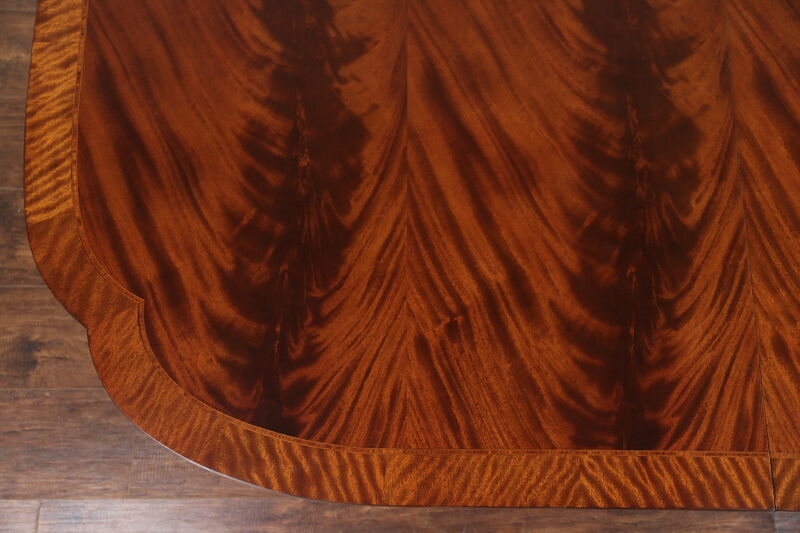 This gracious dining table from about 25 years ago is shimmering matched flame grain mahogany with rosewood banding, signed by premier maker, "Baker Historic Charleston Collection." 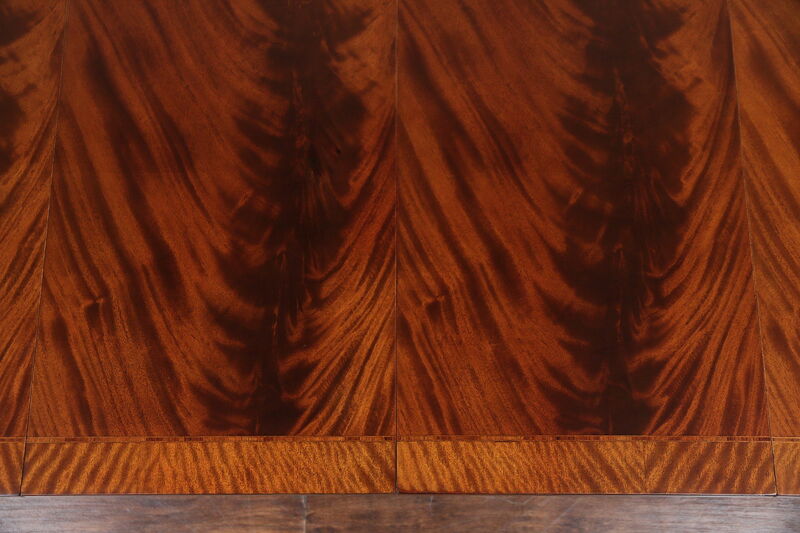 There are two original 16 1/2" wide leaves. 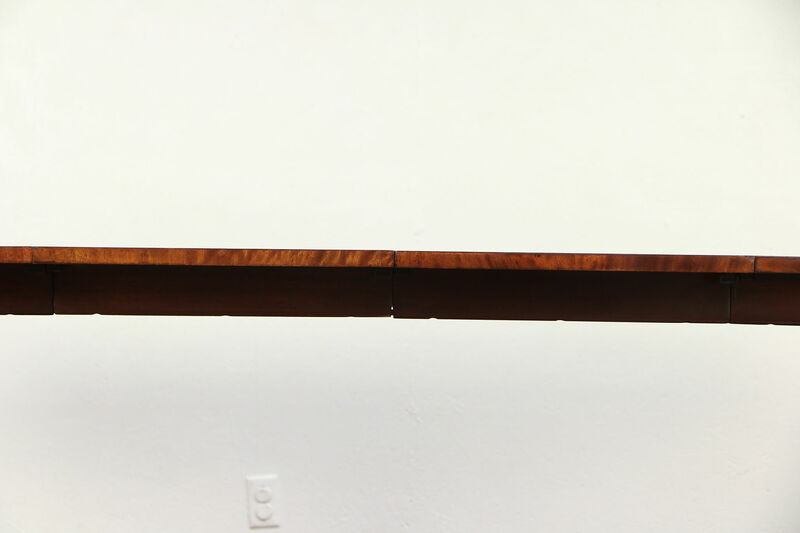 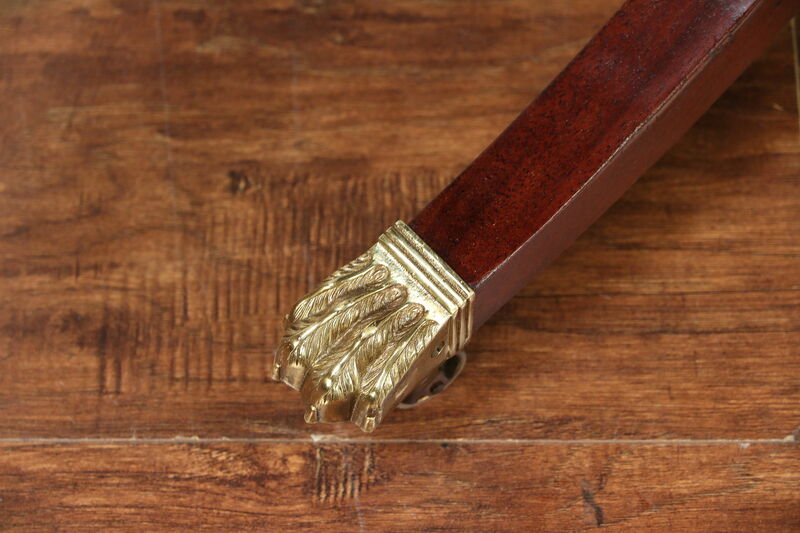 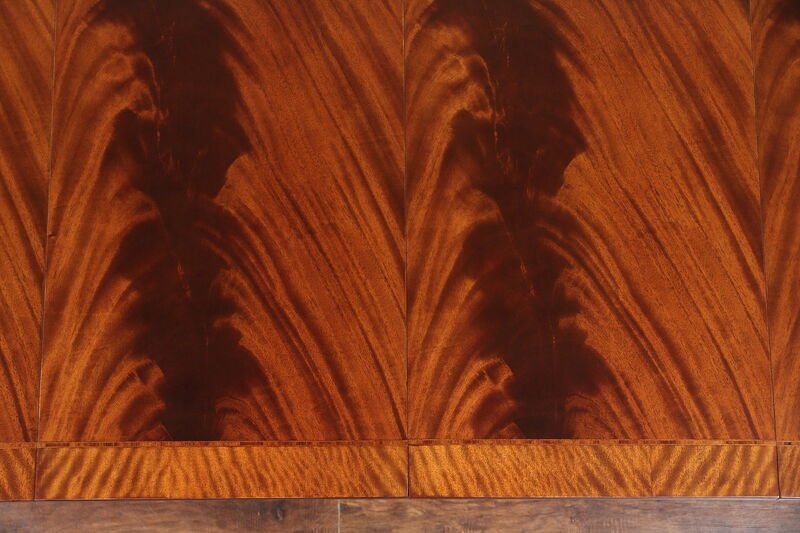 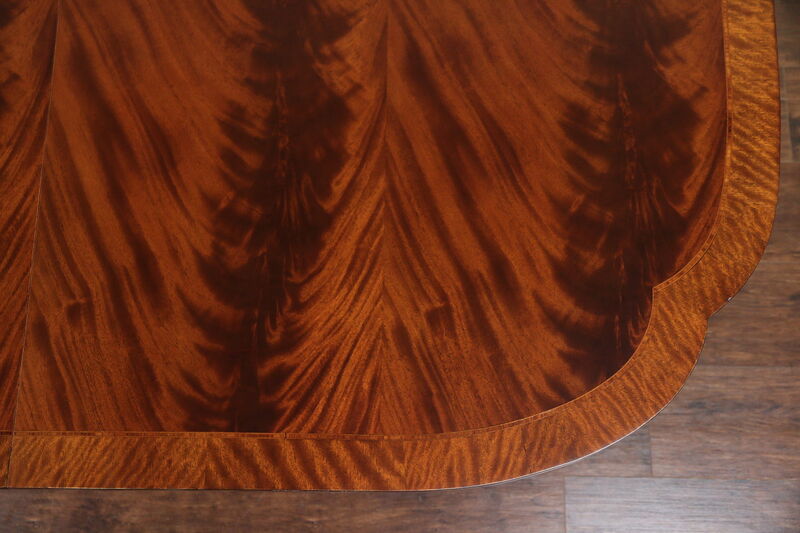 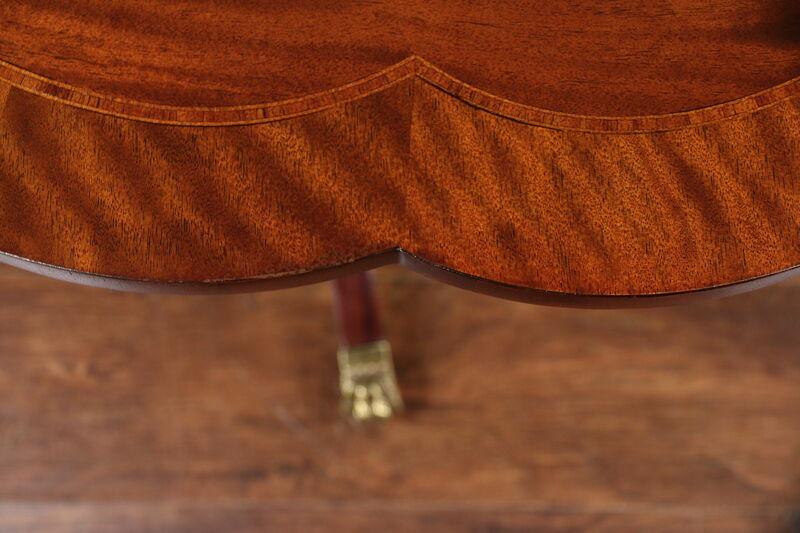 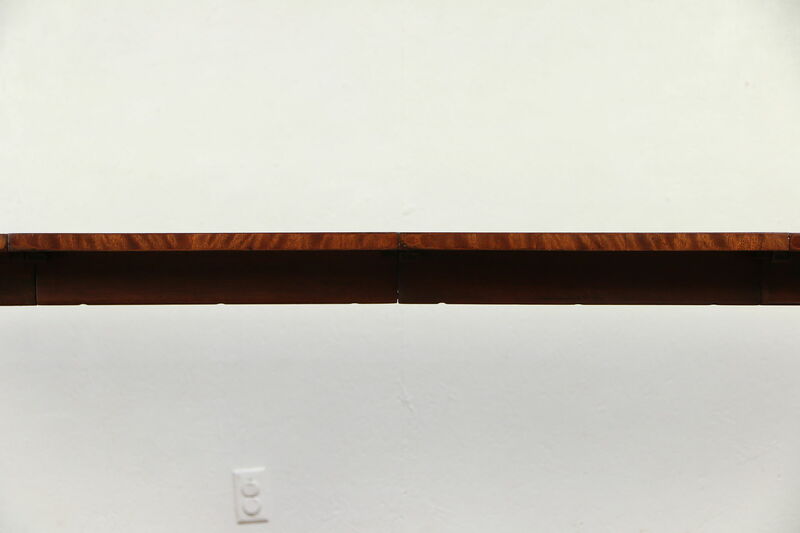 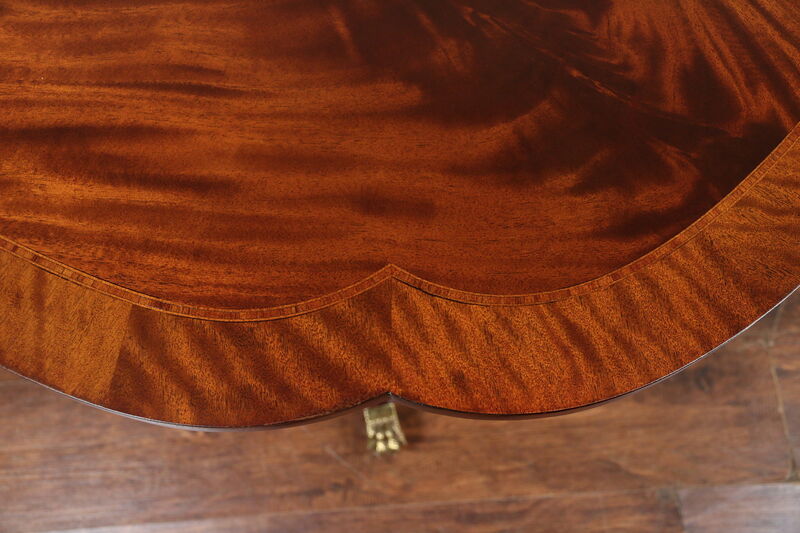 The restored satiny finish is in excellent condition on this American made vintage furniture. 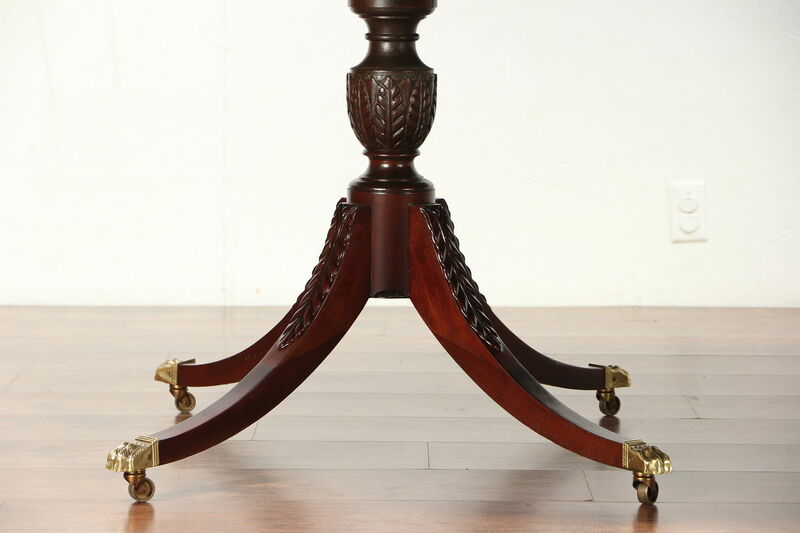 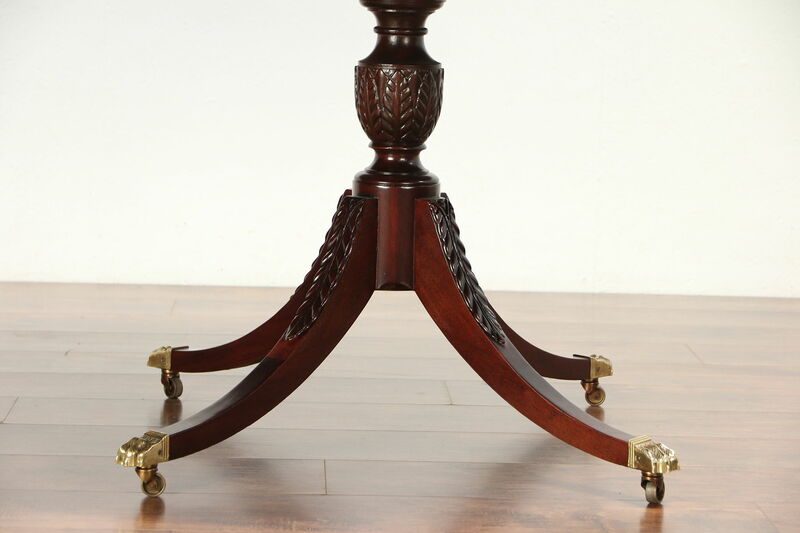 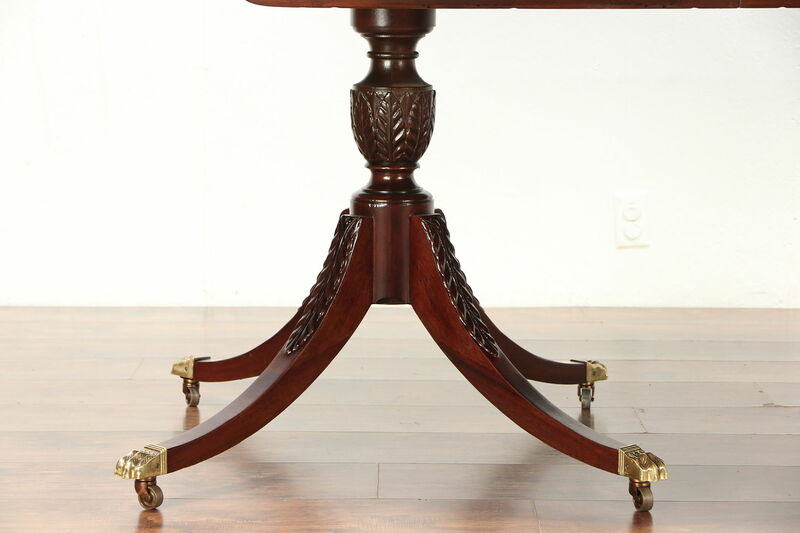 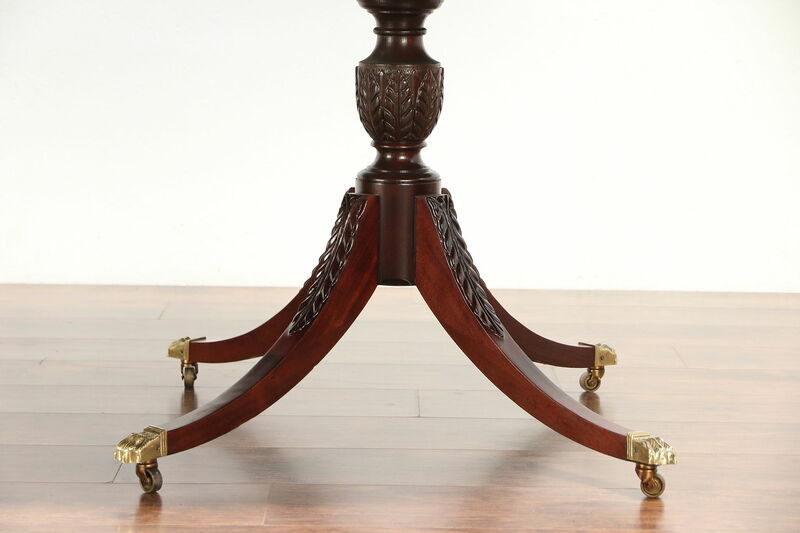 Carved solid mahogany pedestal have cast brass paw feet. 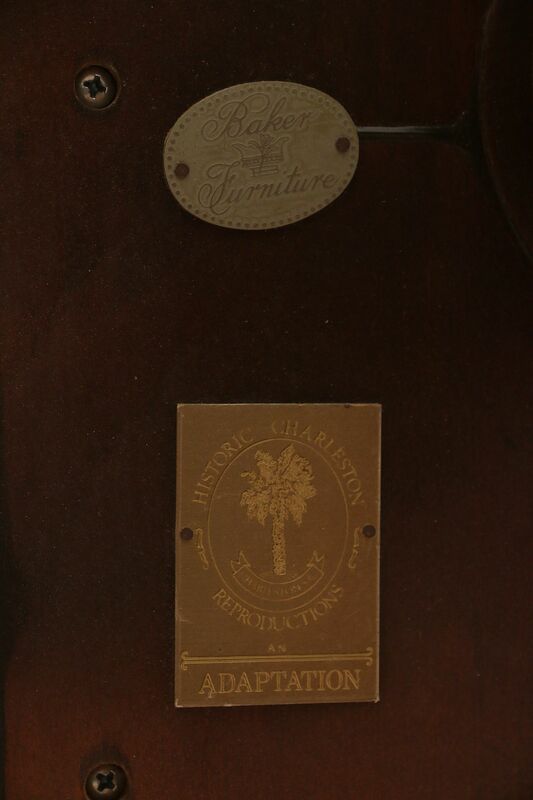 Measurements are 46" wide, 29" tall, and closed length is 70," with both leaves in place, length is 8 1/2' overall.